The Terribly Disappointing Mister Pummel. By Floyd Toulet. A secluded beach on a Greek island. And a bittersweet romance that spans twenty years. Twenty years ago, celebrated author and recluse, Samuel Pummel unexpectedly met the love of his life. Now he must face the unthinkable. 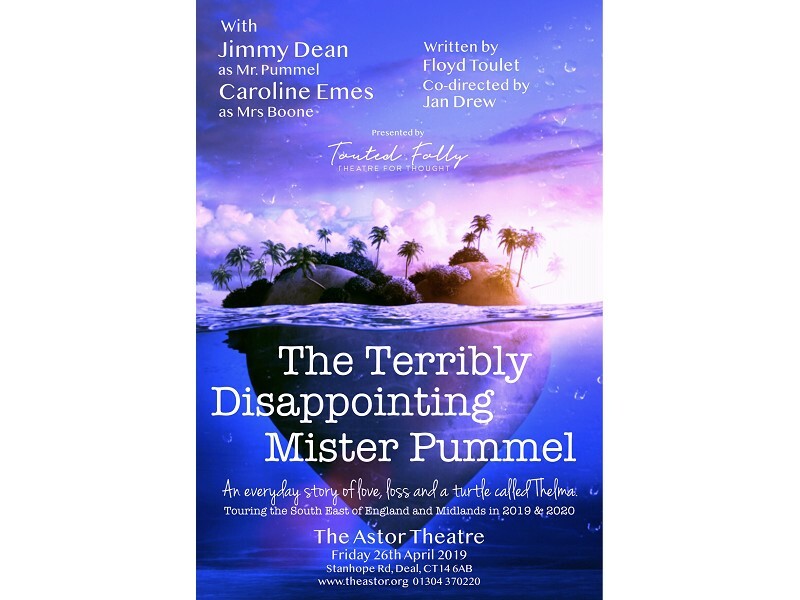 Written by Floyd Toulet, co-directed by Jan Drew and performed by Jimmy Dean and Caroline Emes, The Incredibly Disappointing Mister Pummel tours the South East of Kent and the Midlands in 2019 – 2020.